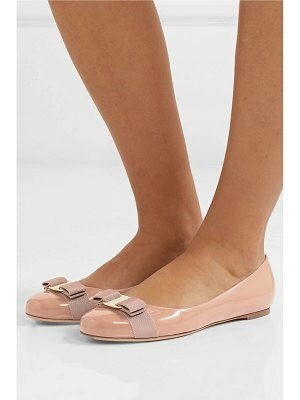 Salvatore Ferragamo kangaroo leather flat. 0. 5" flat heel. Round toe. Grosgrain Vara bow with golden logo buckle. Topstitched collar. Leather outsole. "Ninna" is made in Italy.